Botanical Name of Rosemary is Rosmarinus officinalis belongs to the family of Labiatae. Most sources interpret the Latin name as Rosmarinus “dew of the sea”. It grows widely in a lot of parts of the planet although it is original to the Mediterranean. It is a primary herb which is usually found in the kitchen. It has a property of healing and rich in Vitamin A, Vitamin C, vitamin B6, Folate. It is also rich in minerals such as Magnesium, calcium, iron, and manganese. Let’s see some of the amazing health benefits of Rosemary herb here on this page. 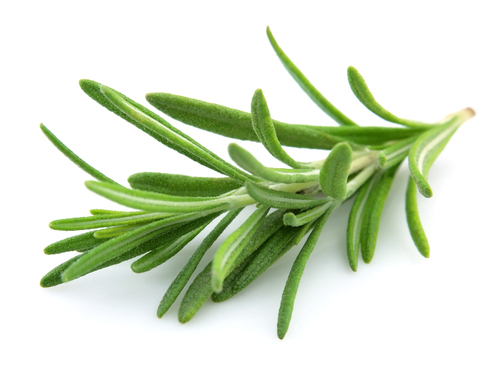 Rosemary herb is used for increasing the memory power. It contains diterpene which is known as carnosic acid, which is having neuroprotective properties which might be beneficial in protecting against the Alzheimer disease. It also includes the ordinary memory loss which will occur at one age. Moreover the scent of this herb can lead to improve the memory. It improves the blood stream to the brain, enhancing memory and concentration. Rosemary is rich in vitamin A: This herb is rich in vitamin A. By including few leaves a day in your diet is better for optimal vision. Vitamin A is also required for maintaining the healthy mucous membranes and the skin. Rosemary branches and leaves are in use in cooking, beauty, and natural remedy. They act as a good supply of the calcium, minerals, and nutritional fiber. It may be used to maintain the immune system, help for good digestion, raise circulation, has anti-inflammatory compounds, can also help to reduce the severity of asthma attacks. This herb work acts as a stimulant for the body and boosts up the production of red blood cells and blood flow. It is also helpful in oxygenating the vital organ systems and areas of the body, which will surely enhance the metabolic activities in those areas that are running smoothly. The essential oil of this herb is good in relieving from the pain, which has been widely used in treating the headaches, muscle pains, and even arthritis. In anti-aging skin lotions, rosemary is usually used as the main ingredient as it very beneficial in stimulating the cell regeneration. Moreover, it lowers the swelling, raises firmness, and improves overall skin tone. It is also good for increasing the blood circulation to the skin.